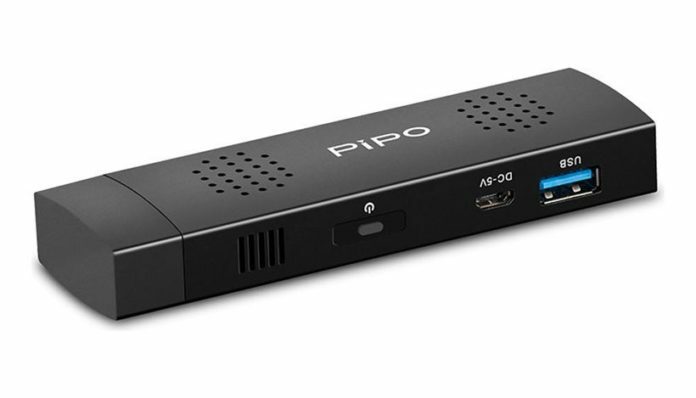 The PIPO X1S is the latest Windows device from the gadget manufacturer. Adopting the compact stick PC form factor, the PIPO X1S is powered by the popular Intel X5-Z8300. The specs are pretty much the same as most of Cherry Trail PCs. It features 2GB of DDR3 RAM, 32GB of eMMC storage, b/g/n WiFi, Bluetooth 4.0 and a micro SD card slot. It also comes with a licenced version of Windows 10 Home. There’s only a single fullsize USB 3.0 port, with a micro USB port located on the other side so you may need to pick up a USB hub, OTG adapter or get a Bluetooth keyboard and mouse. Interestingly, it’s also actively cooled, with a small fan helping dissipate the heat generated by Intel’s SoC. I’m just hoping it’s quieter than the one in MeeGoPad’s previous stick. Inside the box, you’ll get the PIPO X1S PC, power adapter, USB cable and an English instruction manual. The PIPO X1S is available from GeekBuying and GearBest for around $90 at the time of writing. Use coupon “GBX1S” at GearBest to get it for $81.99.